Garden City, New York, USA. March 9, 2019. 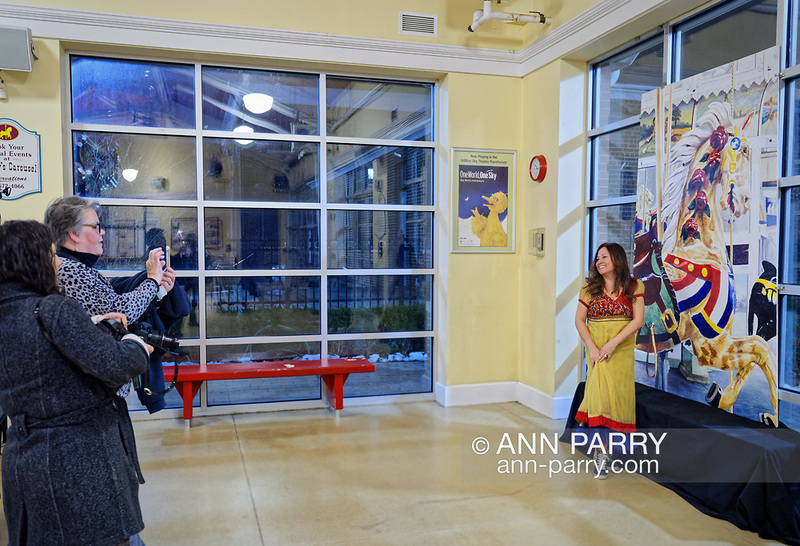 L-R, JEAN SMYTH-CROCETTO watches as MAUREEN LENNON captures cell phone photos of RITA CAVANAGH, Baldwin Civic organization Beautification Committee, Chair posing next to mural of closeup of Nunley's Carousel lead horse. Event was held at historic Nunley's Carousel in its Pavilion on Museum Row on Long Island.